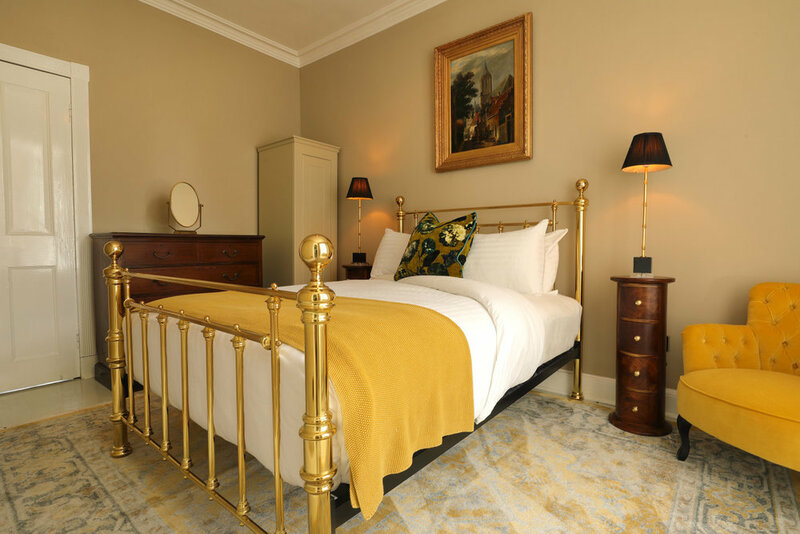 Balnakeilly House has been thoughtfully and carefully decorated to the highest standard to evoke its distinguished past while making the most of modern-day luxury. Its 13 individually designed bedrooms can comfortably accommodate up to 26 guests. Each bedroom has been named after members of the Stewart-Wilson family, who made Balnakeilly their home for 500 years. A copy of the extensive family tree hangs proudly on the wall in the hallway as you enter the house. Four rooms with king size beds. Three rooms with double beds. One room with wheelchair accessible en-suite bathroom. Eight rooms can be converted to twins. Eight bathrooms in total, four of which are en-suite. Every bathroom has a shower while four have a deep inviting bathtub. A starter hamper which includes free-range eggs, bread, milk, butter, homemade Balnakeilly shortbread and a bottle each of red and white wine to keep you fed and watered on arrival. Check in is at 3pm and check out is at 10am, however earlier and later times can be arranged.